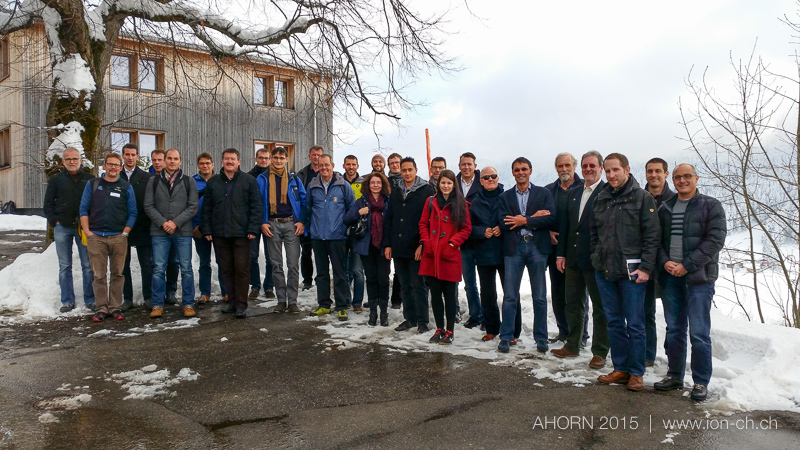 Z_GIS participated in the 2015 AHORN conference in Wildhaus, Switzerland - focusing on "Web services for EO-based landslide information". Florian Albrecht, Z_GIS, discussed the needs and requirements of geological survey authorities, infrastructure providers and other stakeholders for a web service providing EO-based landslide information. The topic is currently researched in the project Land@Slide coordinated by Z_GIS. Participants of the conference exchanged information on a variety of topics: They discussed technologies of orientation, positioning, remote sensing and communication in Alpine applications, e.g. for skiing areas, helicopter rescue and natural hazards.